last update, April 19, 2019. 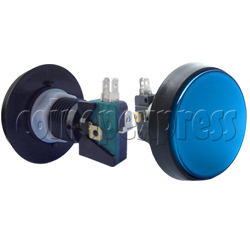 This illuminated push button comes with a 12V, 3W lamp and a mounted external microswitch. The 60mm flat button can be used in most amusement machine. Green, blue, red and yellow color are available.